Google Duplex was arguably one of the most mind-blowing announcements of the year. Unveiled at Google I/O, it promised to make complete phone calls on the user’s behalf. At that time, Google didn’t specify when it would be released, and today, Google to VentureBeat that Duplex is starting to roll out to users in “select cities” around the United States. The company hasn’t detailed precisely which cities will have the feature available, but it is safe to assume that the previously revealed “pilot metro” locations such as New York City, San Franciso, Atlanta, and Phoenix will be included. Google Duplex is still only rolling out to a “small group” of Pixel owners who are in those locations. We’re currently ramping up the ability to book restaurant reservations through the Google Assistant over the phone using Duplex technology. To help deliver a good experience to Pixel users and to businesses, we’re starting with a slow rollout … and will expand to more Pixel users as we continue to ramp up. Here is one video that shows Duplex in action. Through Google Assistant, the user can select a location that they’d like to book a reservation at. From there, details such as the time, number of people, and other specifics are requested by the Assistant. The entire process takes a little over a minute, which is about as long as it would take had you called yourself. However, if a reservation request is being set up late at night after the location has closed, the Assistant states that it will make the call the following day. The voice, just like at I/O, sounds a lot like a real person, but a disclaimer is provided at the beginning of the call. Duplex states that it is “calling from Google” and that the call “may be recorded.” It’s also pretty impressive that Google can accurately handle everything. 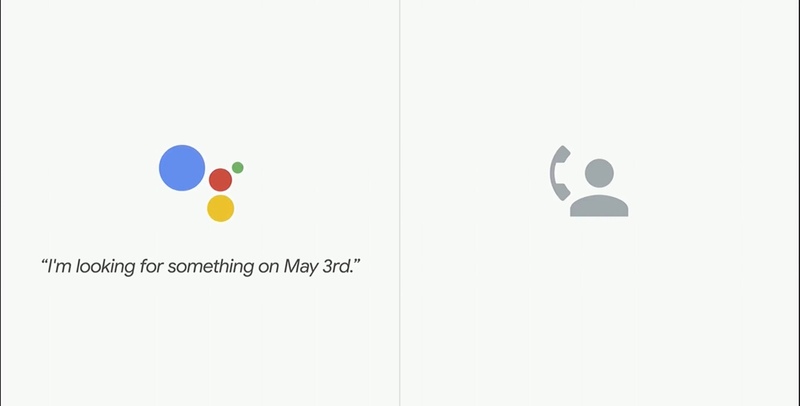 It appears that, within Assistant, users will be able to see their reservations made with Google Duplex. On top of that, they can cancel an attempt to make a reservation from within this UI. It is worth noting Duplex won’t attempt to place multiple calls to the same location multiple times in a day. It may be several years before the technology is perfected and rolled out en-masse, but it is an exciting development nonetheless.